6th Street Bridge - Sixth Street; Queen of the LA Bridges! over the LA River in Downtown. You can buy prints by the photographer! My newest book, "Bridges of Downtown Los Angeles" is now for sale! Get your own copy from Target! or here at Amazon! Thousands attend the Closing Festival for the old Sixth Street Viaduct on 24th October 2015! 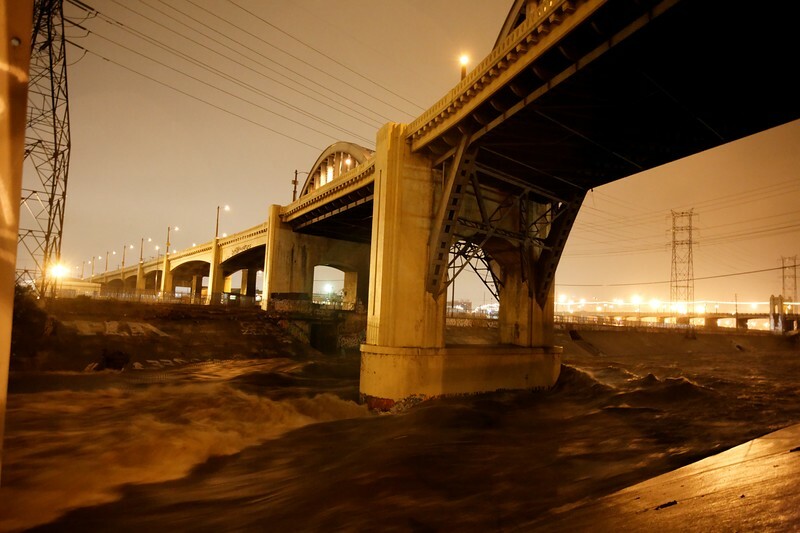 "6th Street Bridge was the fifth busiest site for on location filming in 2012, generating 156 production days, according to FilmL.A. Inc.